Do you want to enhance your commercial or residential home in Toronto, Oshawa and Hamilton? Then look no further, because Best Toronto Stucco Homes offers complete stucco services and repairs for residential, commercial and industrial buildings in Hamilton, Oshawa, Toronto and surrounding areas. Your property will surely look marvelous with our top quality stucco repairs and services. All you have to do is call Best Toronto Stucco Homes today and we will be on our way to get the job done right. Best Toronto Stucco Homes specializes in the application of energy efficient wall treatment systems which will enhance the exterior look of your property anywhere in Toronto, Oshawa, Hamilton and surrounding areas. Our energy efficient service will not only add value to your property, but as well help you save money on your monthly heating and cooling bills. Aside from out stucco repairs and applications, our experts also offer accent services such as quoins, accent mouldings, columns and cornices, which our experienced team adds to the decorative appeal of your residential, commercial and industrial building in Toronto, Oshawa and Hamilton. Since inception, Best Toronto Stucco Homes has served many satisfied property owners in Toronto, Oshawa, Hamilton and surrounding areas who required stucco repairs and other custom projects. The company has the experience and expertise to provide quality services such as stucco repairs, applications, accent moulding, exterior design, stone, brick, and other custom work for residential, commercial and industrial buildings. Best Toronto Stucco Homes has a team full of experts who know exactly what they are doing. Our years of experience and unparalleled expertise in Acrylic Finish Wall Systems are the main reasons why many residential and commercial clients recommend us to others. When you choose Best Toronto Stucco Homes, you are choosing an industry leader in custom stucco applications, repairs and services. To ensure the quality of our stucco and wall molding systems, we test them to withstand extreme conditions and meet the rising demands of the construction industry. Each of our systems is virtually maintenance free and offer you a lifetime of beauty and enjoyment. Each system also provides a waterproof coating for your residential, commercial or industrial building in Toronto, Oshawa, Hamilton and surrounding areas. When choosing us, you will be assured of high quality work for your residential, commercial and industrial project in Toronto, Oshawa, Hamilton and surrounding areas. At Best Toronto Stucco Homes, we understand how important the look of your residential, commercial and industrial building in Toronto, Oshawa and Hamilton, that is why our experts will work with you to create a design to meet your needs, requirements and budget. We take pride to offer high quality stucco repairs and custom services at competitive prices. We offer a variety of options to fit every budget. 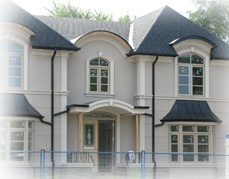 Best Toronto Stucco Homes is staffed with a team of professional architects and builders. Having a team of experts in the industry, the company has able to provide quality stucco repairs and services to all residential and commercial property owners in Toronto, Oshawa, Hamilton and surrounding areas. With our team of professionals, no job is too big or too small for us to handle. Whether you need stucco repairs for your residential home in Toronto or you need to reface the front of your commercial property in Hamilton or want to improve the look of your industrial building in Oshawa, our team of experts can tackle the job with professionalism every time. Contact Best Toronto Stucco Homes Today! Contact us today and let us provide you the solution for your dream homes. We are proud to serve residential, commercial and industrial clients in Toronto, Oshawa, Hamilton and surrounding areas.